This was not so much Project Fear as Project Oh Dear. 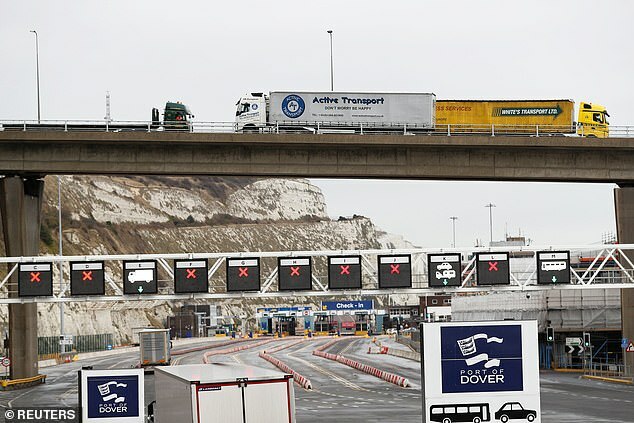 Contingency plans for a No Deal lorry log-jam at Dover were being road-tested – quite literally – on the approaches to our busiest Channel port yesterday. 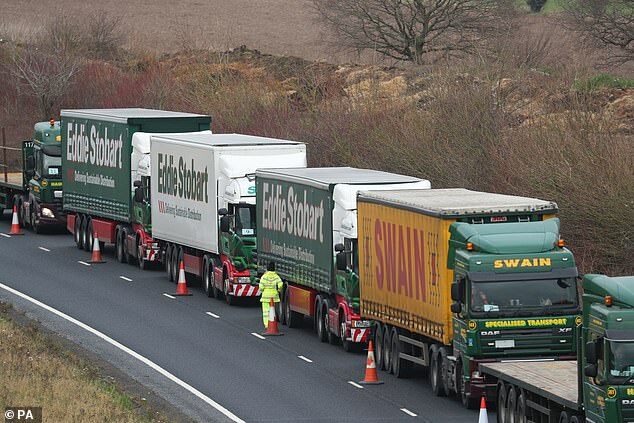 Half the expected trucks failed to appear while many of the participating hauliers dismissed it as ‘a joke’. 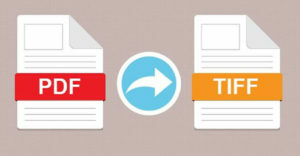 The exercise achieved a rare outbreak of harmony between prominent Remainers and Brexiteers, with both sides condemning it as ‘a waste of time’. 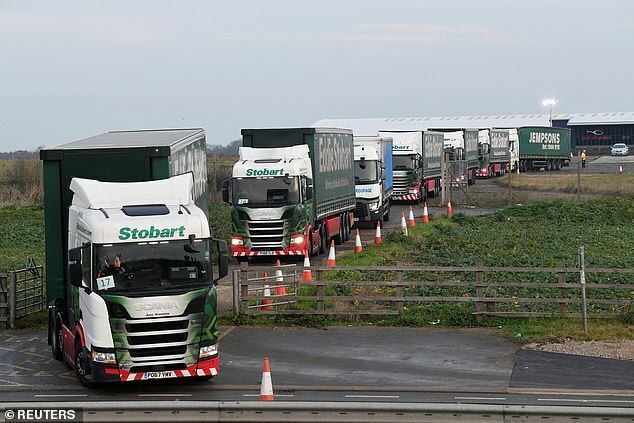 None the less, the people with the clipboards and the hi-vis bibs were very pleased with their dry run on the roads between a new standby lorry park at the disused Manston airport and the gates of the ferry terminal at Dover 20 miles away. A Downing Street spokesman said the Prime Minister was ‘satisfied’ with the result. The trials had involved a fleet of purely British trucks with British drivers, none of whom was actually carrying any loads. Nor did any of them enter the port of Dover, let alone trouble Passport Control. The Department for Transport had hoped for a sample of 150 trucks and had offered a going rate of £500 a lorry. However, this being a busy working day after a long holiday period, the haulage industry could rustle up only 86. Given that Dover handles 10,000 lorry movements a day at busy times of the year, statisticians might argue that yesterday’s exercise was not a wholly realistic sample. ‘A complete waste of time and taxpayer’s money,’ chuckled lorry driver Bob Dowle, 52, as he stopped for a bacon sandwich on the A256 afterwards. That was certainly the prevailing view among the other drivers parked up at the M&N Snackbar near Sandwich (£3.50 for bacon, sausage and eggs). We WERE a bunch of local drivers, fresh as a daisy after a weekend off,’ said Peter Williams, 48, another HGV veteran taking part in the trial. To be fair to the Department for Transport and Kent County Council, the primary purpose of the exercise was not to create ‘No Deal’ hell on the roads of Kent. It was, specifically, to test a new freight overflow scheme at Manston – or ‘Kent International Airport’, as some road signs still call this strip of ex-RAF concrete. Four years ago – long before the Brexit vote – the department took out a lease on the runway as an emergency precaution against cross-Channel disruption. Officials used to impose an emergency plan called Operation Stack which used the M20 as a lorry park and caused huge problems across Kent. Hence the Government’s lease on Manston. Operation Stack has been torn up and replaced by a new masterplan called Operation Brock (it does seem a bit mean on the poor old badger to be dragged in to this Brexit business, especially after all those culls). Under Operation Brock, if there is future disruption at the Channel ports, up to 6,000 lorries will be directed to wait at Manston. From there, they will be released in batches to make their way to Dover. Yesterday was the first attempt at ‘Brock’. It wasn’t the first time Manston has been used for experimental purposes, though. Barnes Wallis tested the first bouncing bombs there ahead of the Dambuster raids of 1943. I doubt anyone will be making a film about yesterday, though. 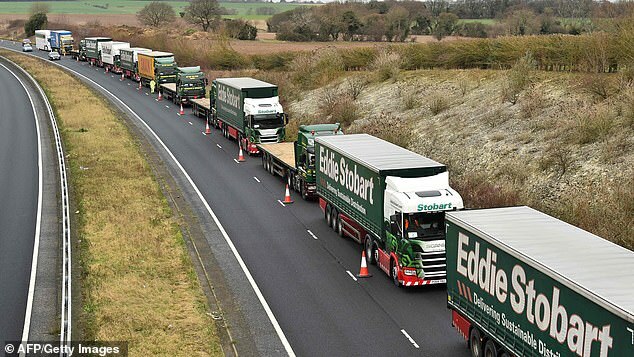 After an 8am briefing on the runway, a line of Eddie Stobart trucks led the fleet out through a gate in the perimeter fence and in to a newly created filter lane towards the A256. In Dover, there was the faintly bizarre sight of a convoy of trucks descending the hill to the port, reaching the main roundabout, performing a U-turn and driving back up the hill. The fleet then repeated the exercise at 11am. By lunchtime, their day was over. Toby Howe, senior highways manager for Kent council, professed himself happy with it all. ‘The feedback showed that there were no serious delays,’ he said. As for the low turnout, he was not worried. ‘It was about testing flow rates, not about numbers,’ he insisted. None the less, this was hardly an exercise likely to reassure the public. Coming after the news that a contract for extra ferry services out of Ramsgate has been given to a firm which has no ferries, we are entitled to be concerned. Everyone from freight industry leaders to local MP Charlie Elphicke pooh-poohed the trial run. It only seemed to compound the sense of dithering, of Dad’s Army rather than D-Day. Just above the ferry port, stands Dover Castle. It contains the tunnel network in which Admiral Bertram Ramsay ran Operation Dynamo, the great escape from Dunkirk in 1940. Yesterday, I visited the excellent English Heritage exhibition deep inside the White Cliffs of Dover and stood in the starkly lit tunnel where this brilliant man organised the evacuation of a third of a million men under enemy fire, saving Britain and the free world in the process. His statue – telescope in hand – peers out from the ramparts high above the ferry port in the direction of Dunkirk. Was that a tear in his weathered bronze eye? What must he be thinking now? And do we have a latter-day Ramsay for 2019? If he or she exists, they were certainly not to be found in a hi-vis jacket on the A256 yesterday.